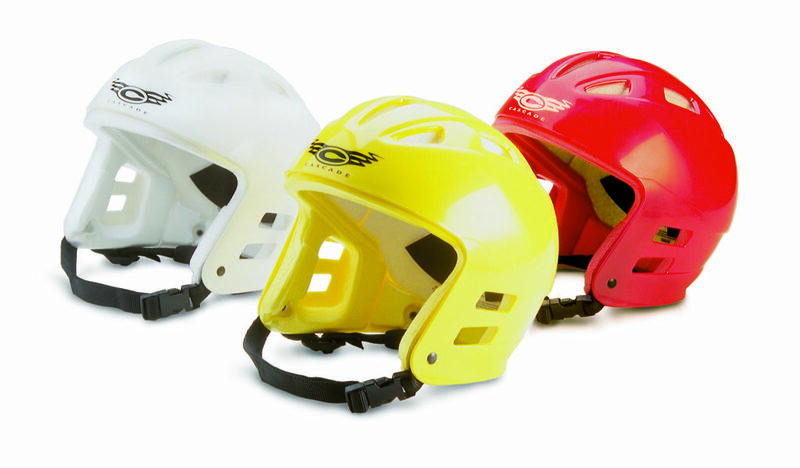 The Cascade is a superior quality swiftwater helmet that provides a high level of protection. Extra foam padding provides an ergonomic fit and makes the Cascade a multiple impact helmet. Includes three crown pads for a custom fit to your head. Patent pending neck-strap system holds the helmet firmly in place. Unique rain-gutter front drains water away from your face. Special side slots make wearing sunglasses more comfortable. Guaranteed for life.